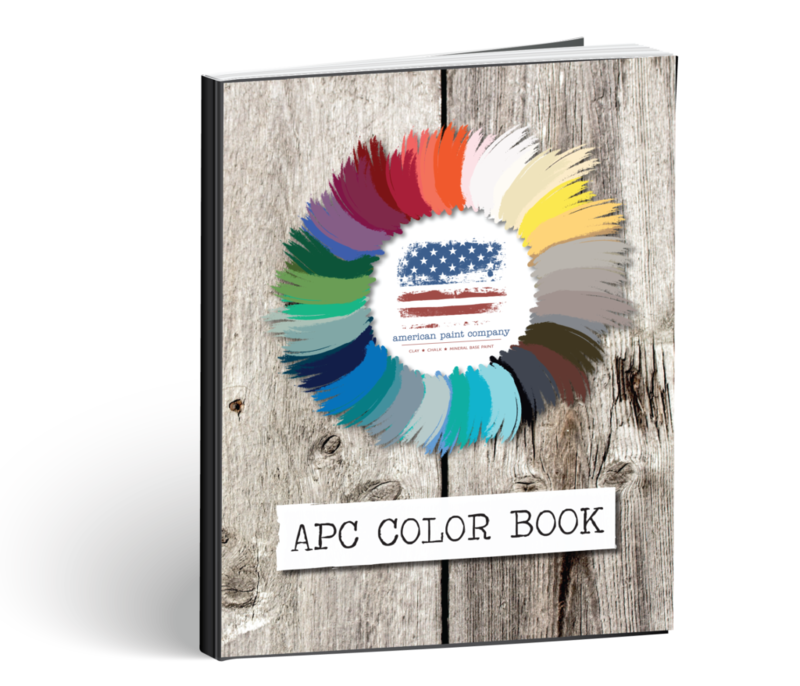 Painting is easy with American Paint Company chalk and clay paint. 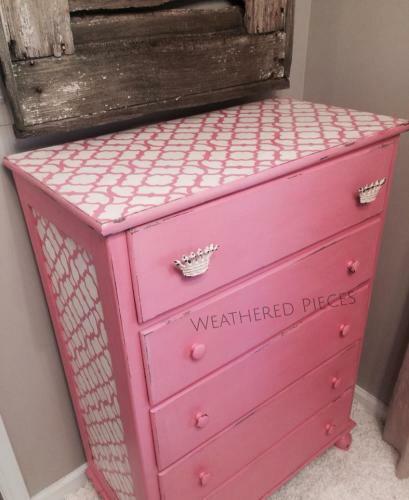 Weathered Pieces painted this dresser with a mix of Home Plate and Momma’s Lipstick. Silver Mica was added to Clear Wax for the finish. Fabulous Finishes painted this cabinet using Cameo over Tarnished Platter and finished in Clear Wax. 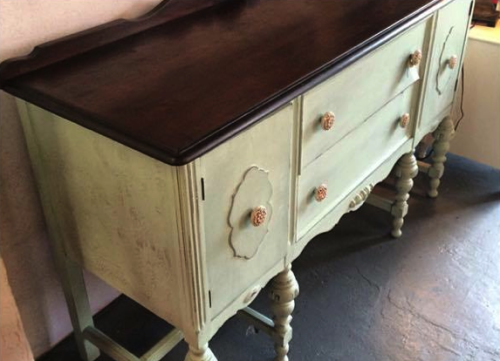 Simple Matters painted this dresser using Waistcoat. TRU Furniture painted this little secretary using Voyage and finished in Clear Wax. 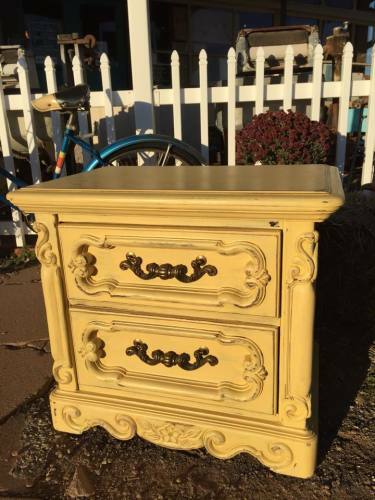 The Old Store painted this nightstand using Amber Waves of Grain. 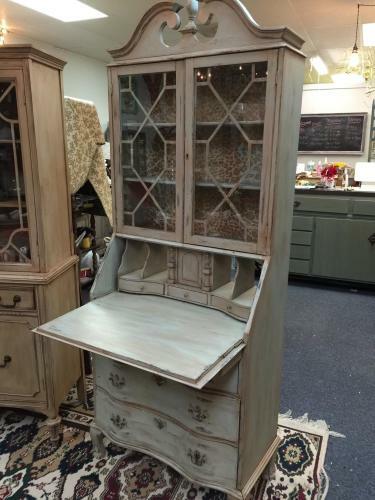 Trent River Designs painted this secretary using Voyage and finished in Dark Wax. 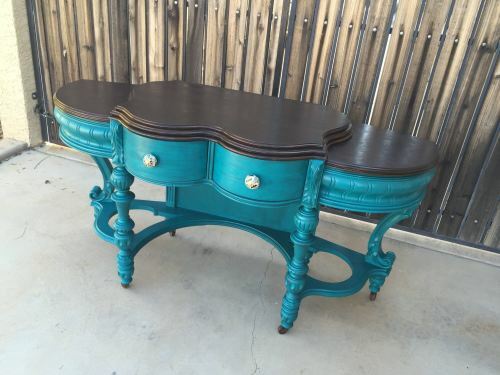 AZ Vintage Vault painted this unique vanity using Peacock and finished with Black Glaze and Top Coat. 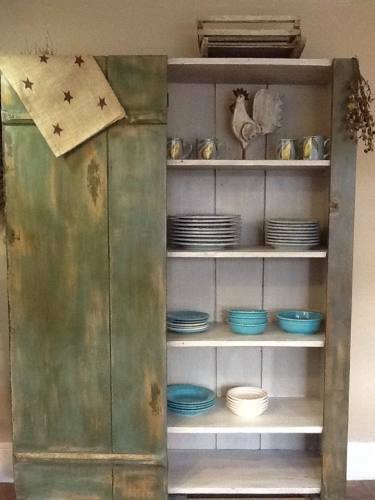 Mainely Vintage painted this primitive cupboard using Tumbleweed, National Forest, Rushmore and Dark Wax. 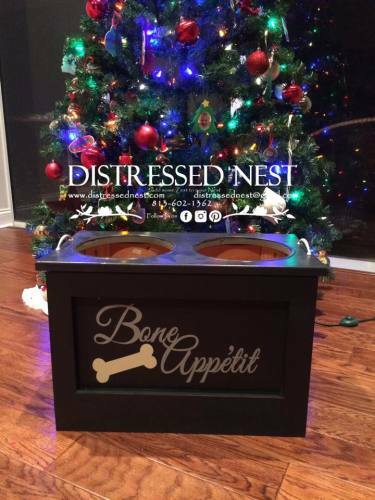 Distressed Nest painted this doggie dish using Cannonball. 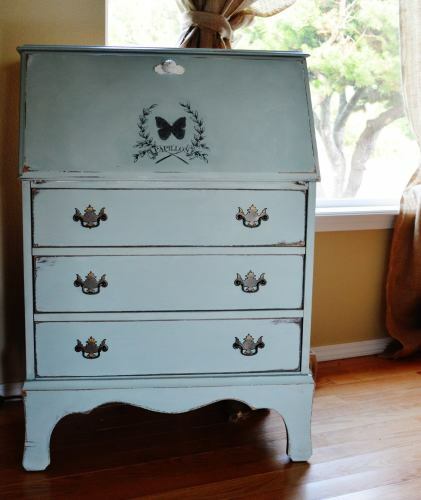 Paint Me Beautiful painted this buffet using Liberty. What will you be inspired to paint? In terms with furniture I wanted mine to have a detailed design and a very fine work. 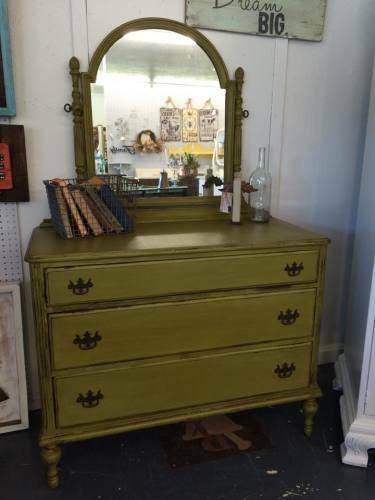 What kinds of paints do you use for these pieces of furniture? I wanted to do something like this with the coffee table that we have in the living room. There are a bunch of dents and chips in the paint job. I also think that a new paint job would be really nice for it. I also want to get a color that will match the room a little more. I just want to know if there are certain paints I need to avoid or if any paint is okay. 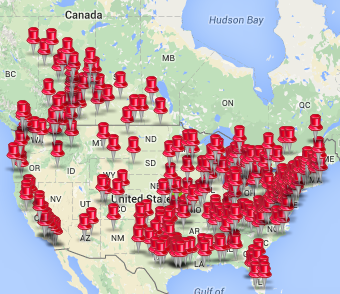 All of our projects use American Paint Company paint and finishes. 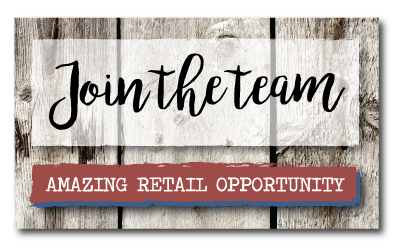 Please find a retailer near you by checking the “Find a Retailer” tab on our website. Gracias por el mensate si necesita mas informacion busque el website. Bursque el Botton del linquaje en el website.